A 5 star day out in the Brenva cirque with Sylvain Reynaud. Never had it so good from the top to the bottom on this 2000 m run. 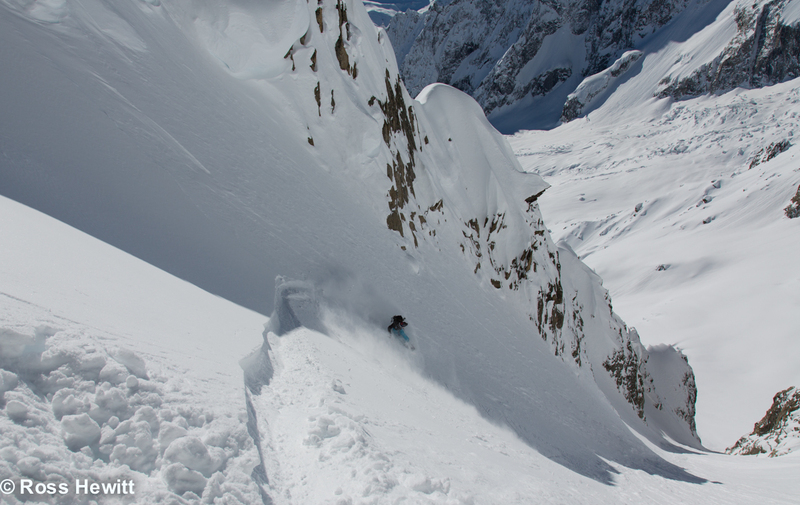 The Couloir starts at the demi-lune. A very exposed traverse gains the entrance.